Born in the Midwest, Dr. Maher completed college and medical school in only 6 years, at the University of Missouri-Kansas City, School of Medicine. In the midst of her schooling, Dr. Maher took a year to travel around the world, studying medicine in various cultures. She then came to Los Angeles where she completed psychiatry residency at Harbor-UCLA Medical Center and a fellowship in Mind-Body, or Psychosomatic Medicine, through UCLA. She then went on to become the Associate Director of the Psychiatric Consultation Service of Cedars-Sinai Medical Center and Associate Professor of Psychiatry at UCLA. 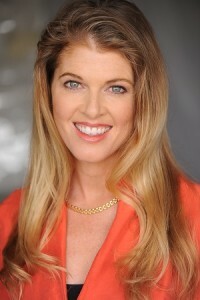 Through over 15 years of studying, practicing and teaching in academic medicine, living yoga in yearly ashram retreats, and observing medical care during travel to more than 30 countries, Dr. Maher has developed a “Spiritual Neuroscience” that integrates alternative and western medicine, spirituality and neuroscience for innovation in current medical practice. For Dr Maher, spirituality is defined as whatever helps someone to be a better version of themselves and incorporates all that an individual brings to their path, as they become who they desire to be. She views our mental and physical challenges as important steps of each person’s unique journey. By using tools she’s developed from the latest neuroscience research, she guides clients in understanding and utilizing their brains more effectively. Known to ‘meet patients where they are’, she works with her clients to discover what optimum mental wellness means to them. She then offers a wide array of resources including medication, psychotherapy, alternative therapies, Eastern practices and others, allowing the client to choose what feels right to them at that moment. For those facing medical issues, she is available to work closely with other practitioners in order to facilitate a team approach to care that recognizes the interplay between the mind and body. Qualified to treat the full spectrum of mental health conditions, Dr. Maher has particular interest in treating individuals through medical conditions, life transitions, weight management and Attention Deficit Disorder (ADD and ADHD). In addition to treating patients, Dr. Maher has been active in teaching the next generation of doctors – previously USC and UCSF students and currently UCLA medical students. She has also trained Cedars-Sinai Psychiatry residents and has lectured to thousands of professionals and individuals on a wide variety of mental health and wellness topics. She has written several articles for medical journals and her expertise has been used by Medscape, Psychiatric Times, Journal of General Internal Medicine, The International Association for Cognitive Behavioral Therapy and several others. She is also the author of the self-help guide for recognizing and treating ADHD in adults, entitled From Scattered to Centered: Understanding and Transforming the Distracted Brain. In addition to her practice at the Akasha Center, Dr. Maher does healthcare research through the RAND corporation.